Small and medium enterprises (SMEs) are of significant importance to Singapore’s private sector growth. They comprise 99 per cent of all enterprises in Singapore, employ 70 per cent of the workforce, and contribute to nearly half of our GDP. In order for them to expand their capabilities, SMEs must daringly transform their business models and be ready to seize growth opportunities. This requires them to tap on SPRING Singapore for key industry insights, as well as assistance for finance operations, capability and management development, technology and innovation, and market penetration. The engine that drives SPRING is its people – individuals with a business mindset and the resolve to help companies achieve their growth potential. 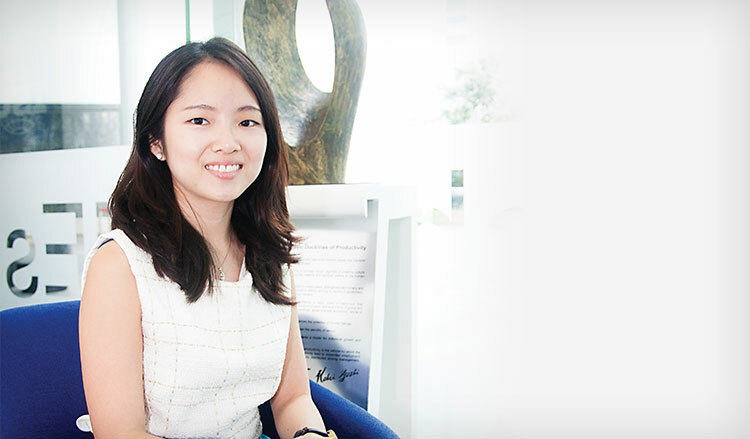 SPRING EDS Scholar Catherine Kuah is one such individual. Her first appointment was a Manager at SPRING’s investment arm, SPRING Seeds Capital (SSC), where she worked with investee companies and co-investors to create growth and divestment strategies. These investee companies are mainly in the bio-medical sector and have the potential to scale up not only locally, but also internationally. When she was there, she identified promising start-ups through the Start-Up Enterprise Development Scheme (SEEDS) and the Business Angel Scheme (BAS). “Both the SEEDS and BAS programmes are co-investment programmes. SSC will invest dollar-for-dollar alongside co-investors amounting to $2 million. By combining the industry networks of strategic private investors with the financing and infrastructure support from SPRING, the investee company is able to bolster its resources to grow its business,” explains Catherine. Catherine has since moved from the investment function to an industry and enterprise development function within the Biomedical Sciences division. Her experiences in working with start-ups and early stage investment in her previous appointment have given her a good understanding of business issues, commercialisation challenges and the way management teams refine their businesses – essential for her current role. This immense exposure to industry and public sector work is a meaningful opportunity for fresh graduates to uncover new strengths within them. SPRING scholars are also given opportunities to embark on overseas mission trips as part of internationalisation efforts, allowing them to grow their capabilities.